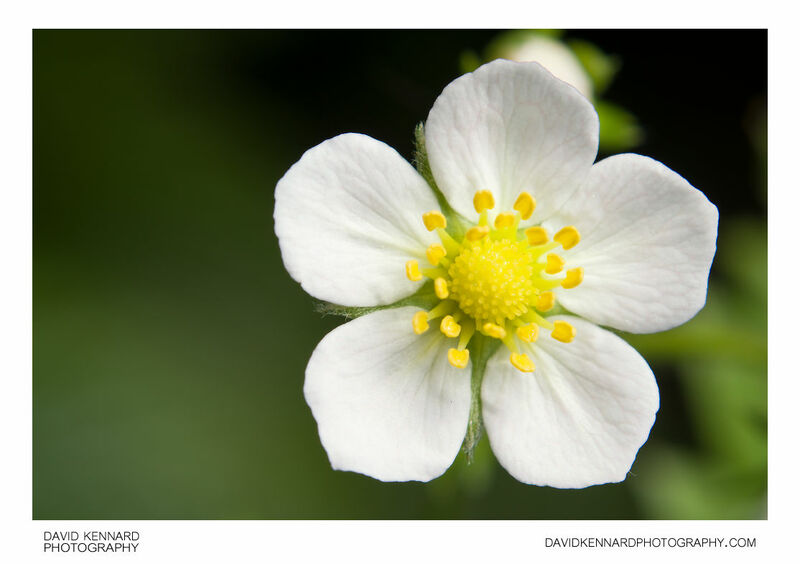 Close-up photograph of the small flower of a Wild Strawberry plant. Wild Strawberries are also known as Woodland strawberry, European strawberry, or Fraises des bois. The binomial name for the plant is Fragaria vesca. Compared to the Garden strawberry, the Wild Strawberry has much smaller fruits with a stronger taste. They are not often cultivated, but many animals enjoy the fruits.